I’ll let you in on a secret. I was inspired to visit the State Fair of Texas based on the 1962 film starring Tom Ewell and Alice Faye. I have a mildly embarrassing obsession with movies from the mid-20th century and State Fair happens to be one of my personal favourites. The fair in the movie is portrayed as lighthearted and family friendly and unique, so I obviously went in with those preconceived notions. Were they met? Yes. In fact, the State Fair of Texas surpassed all of my expectations. It is so much more than a fair. Imagine if a carnival, museum, retail store, car show, performing arts center, and zoo teamed up to create a unique showcase, that would be the State Fair. It has a little bit of everything and in true Texas-fashion, the fair is huge (everything is bigger in Texas, y’all). But don’t worry, I will help you navigate. So put on your best walking shoes and let’s take a look at the highlights of the State Fair of Texas. Ford, Toyota, Chevy, Oh my! 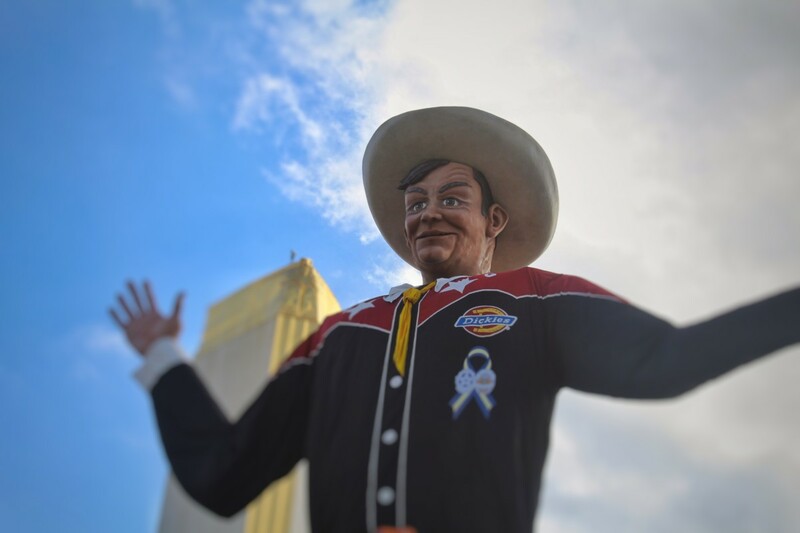 Our first stop is Big Tex, a 55-foot tall talking statue donned in blue jeans and a modest 95 gallon wide-brimmed cowboy hat. He’s a movie star, making a cameo performance in the film State Fair. So obviously, we have to take a picture with him. Stand right there. Strike a pose. Hold it. Smile. Say Howdy. 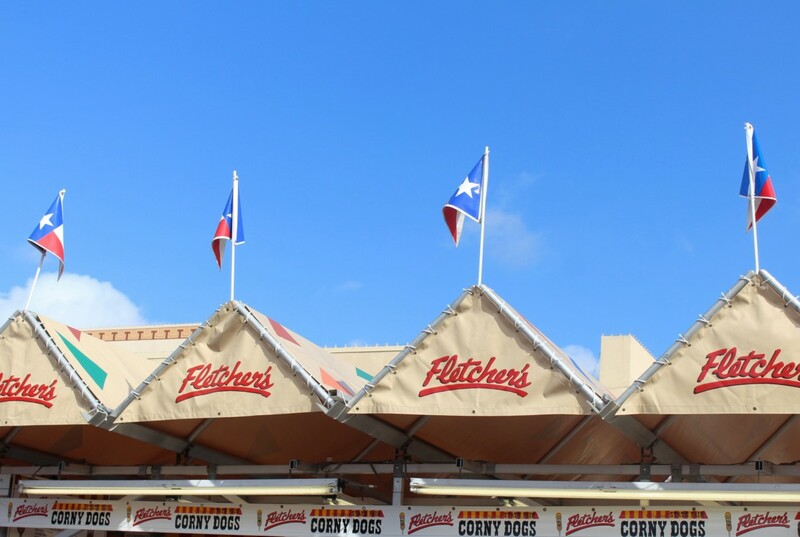 And since this is our first stop, we can get a wonderfully clear shot with the big, blue Texan sky before a human current floods in for Fletcher’s corn (ahem, corny) dogs. 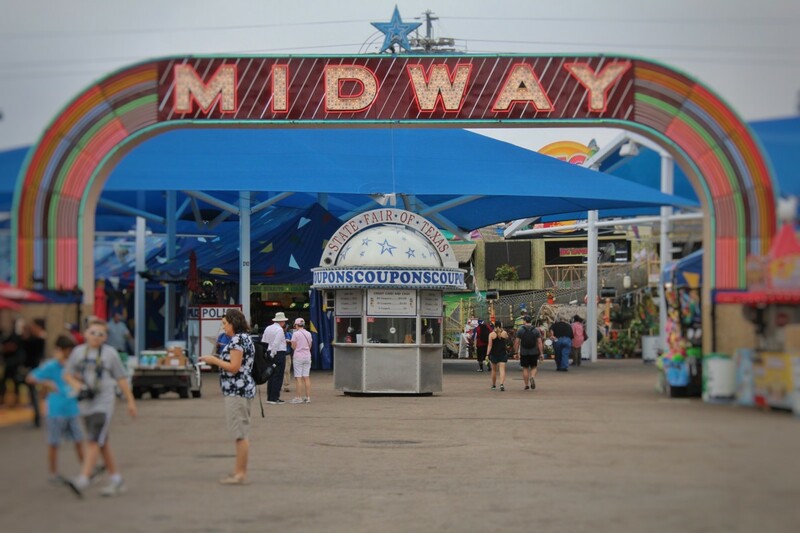 It is time to try some Midway games and rides! Do you see the ferris wheel over there? That is the Texas Star, the most popular fair ride for a good reason. If you are looking for some of the best views of the Midway (and don’t have a mild case of acrophobia, like me), you can circle slowly higher and higher into the sky and feel like Superman for one tiny moment. If you are fond of tamer rides, we could go for a spin on the swing carousel or even release our inner-child by winding down some candy-coloured slides. We are going to weave past Big Tex yet again, and enter the Hall of State, one of the most underrated attractions at the State Fair. 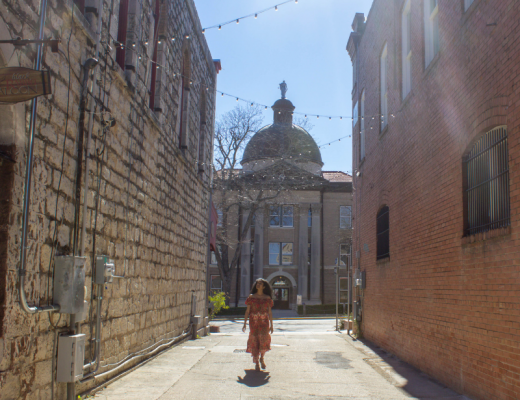 Each year, the Dallas Historical Society transforms the rooms into a quasi-museum with set exhibits on some thematic element of Texas’ history. 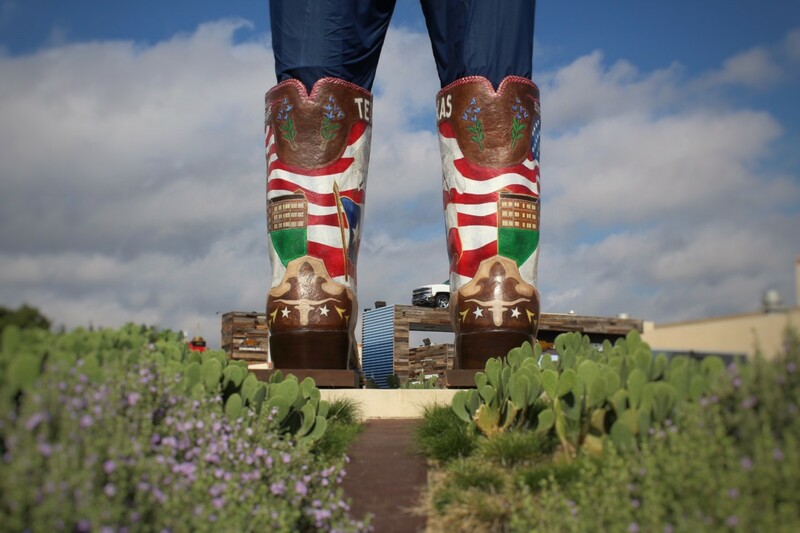 Texas has a rich and colourful past that continues to hold onto an equally lively story. We catch a deeper glimpse of that story through the stark photographs and detailed pockets of texts on display. 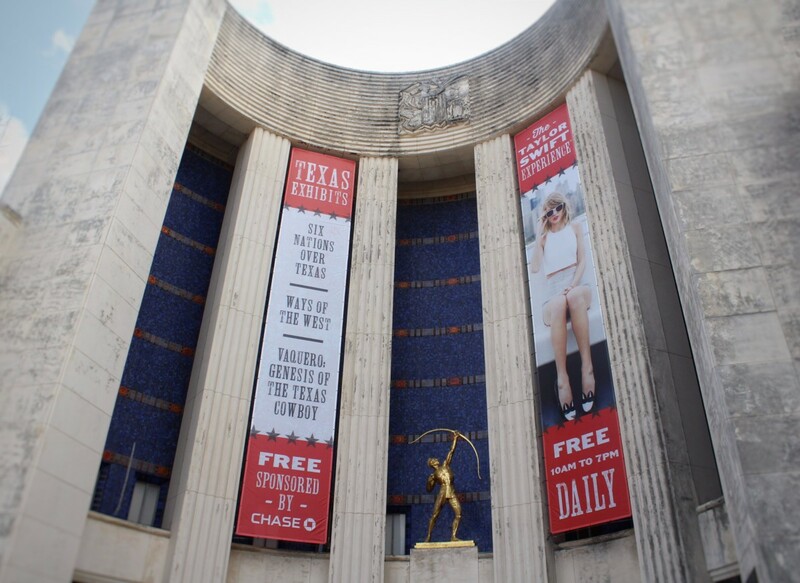 The 2016 Hall of State also hosts The Taylor Swift experience, a main hall featuring Taylor Swift’s concert outfits and song snippets. Ten year old me would have gawked at the presentation (Love Story just released that year and it was all I would play on the piano for months). You’re probably starting to feel a little hungry, so let’s grab a bite to eat. I know the line seems to be extending blocks, but we have to try Fletcher’s corny dogs, a cult classic sold at Fair Park for over 70 years. Carl and Neil Fletcher arguably invented the “corn” dog, but regardless this fried-delight is delicious. The batter pulls the juice from the sausage, making Fletcher’s world-renowned specialty more flavour-packed than a run-of-the-mill corn dog. Now that we’ve satisfied our appetite, it is time to shop. At the State Fair of Texas, you can find everything from Egyptian artisan crafts to Sterling silver, but the hub of vendors is situated in the Go Texan Pavilion. Here, we discover a medley of items: illustrated children’s books to craft soda. 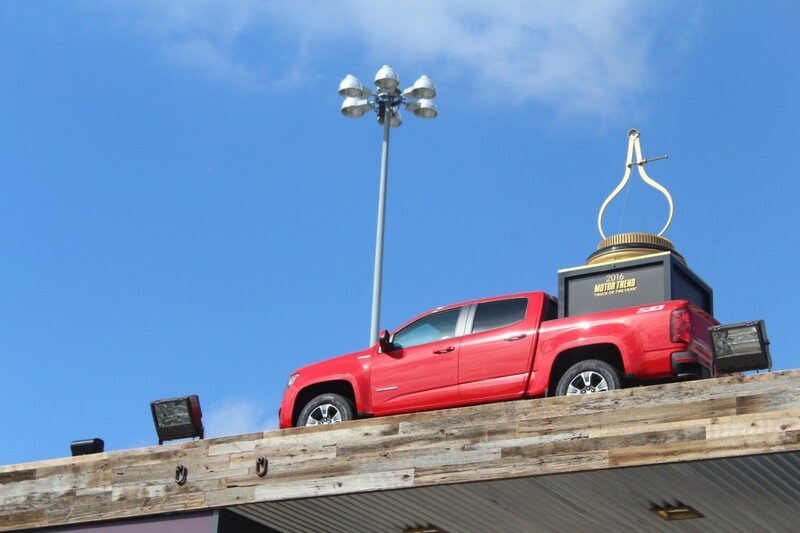 The State Fair of Texas has the largest new car show in the entire Southwest. We walk from building to building and oggle at the sleek and shiny new models. But my favourite event has to be a little further out. A manageable distance from the Centennial and Automobile buildings is the Chevy Ride and Drive. If, like me, you are aching to drive a Corvette but don’t have the budget to do so, you can test drive one at the event. The line is leaner earlier on in the day and later in the day (try to avoid afternoon crowds). As a bonus, you can also pick up a free t-shirt in your size. 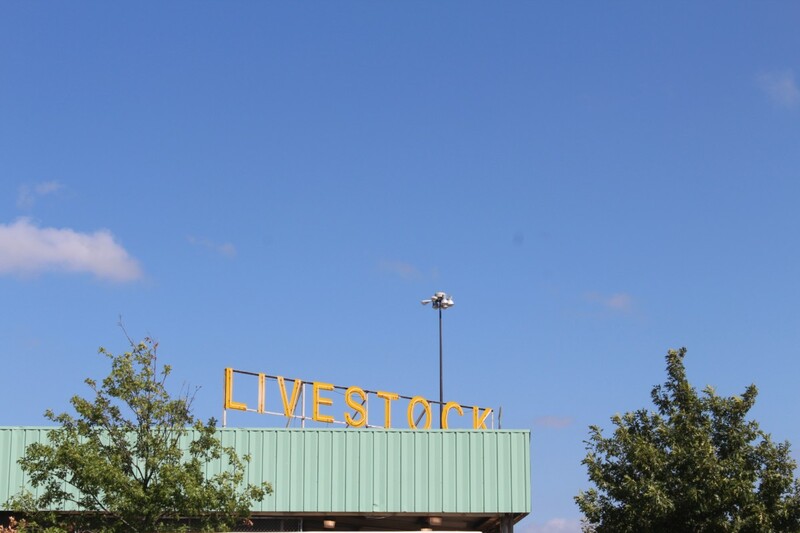 One of the noticeable themes at the State Fair of Texas is agriculture. While that can be a difficult concept to integrate into a fun-focused fair, the State Fair of Texas does a great job. We circle around to the livestock and watch the animal auction. Afterwards, we take part in a little agriculture education through demonstrations and exhibits as well as witness all the barn animals. Did I mention there are llamas? 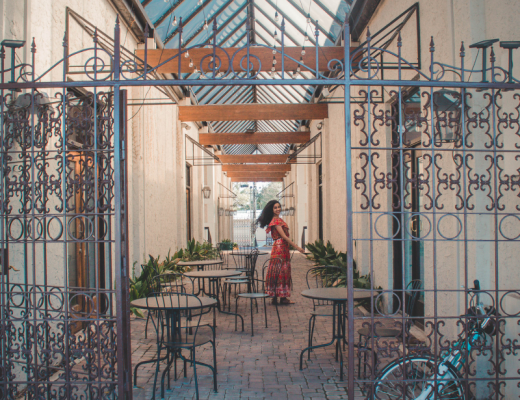 We’ve been walking for a while, so let’s let our feet rest a little in the Wine Garden courtyard. 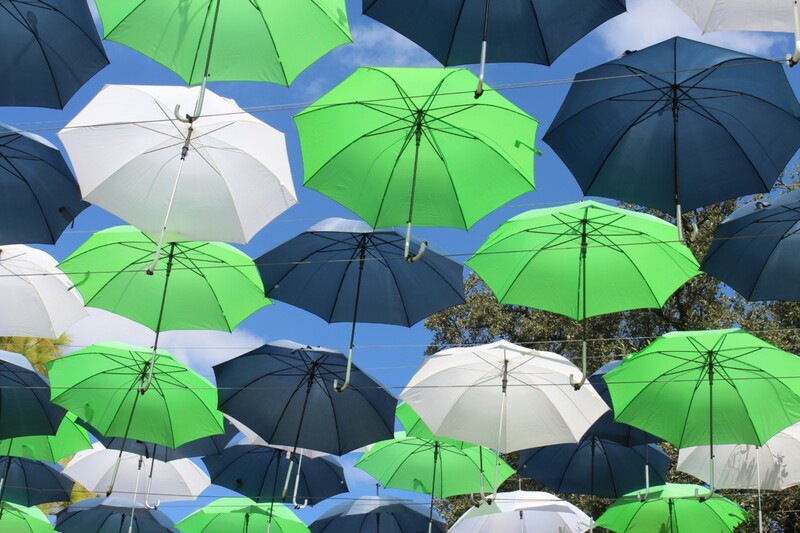 A beautiful umbrella installment provides much needed shade from the Lone Star heat. The oak tree, beige exterior buildings, and insane array of wine samplings (over 40 kinds) converge to give a more Tuscan feel. The last thing we are going to do is catch a concert at the Chevy Main Stage. Almost every night, different popular artists let their live vocal ripple across the fairgrounds (previous artists include Nelly, Cam, Becky G). The concerts are often held in the evenings or at night so they are the perfect way to wind down the day. Did you enjoy my tour? Have you ever been to the State Fair of Texas? 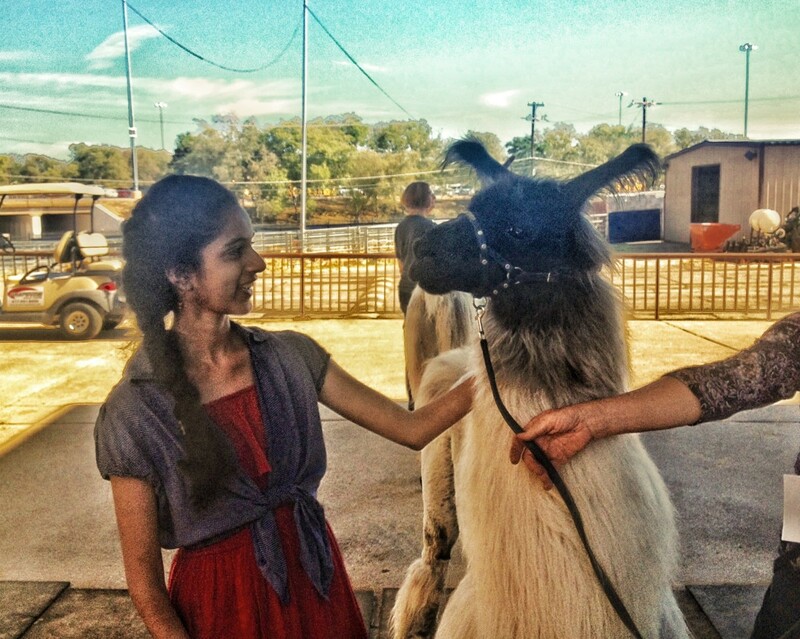 What are your top things to do at the State Fair of Texas? Let me know in the comments! I love hearing from y’all. Disclaimer: The State Fair of Texas kindly sent me free tickets in exchange for some minor promotion. But I have been to the fair before and loved every minute of it. All thoughts and opinions expressed in this article are very much my own! State Fair of Texas sure looks like a family-friendly place and has all the makings for a great weekend getaway. I love the wine garden. I do love a great county fair. It is a big deal here in our tiny community. The entire area stops. The state fair is Wisconsin was big too. Cream puffs and cheese curbs ruled the day. State fairs are the BEST, hands down. 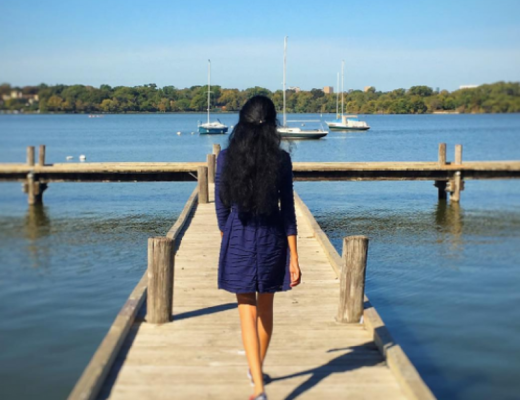 Always tons of fun and always great for a relaxing day of sight-seeing and people watching. I hope the concert was fantastic! This looks like so much fun and although I have never been, I know this particular state fair is iconic. I have read that the food there is supposed to be the best! I did not know there was a wine garden! Yes! Thank you for the information and I love the pictures! I think the movie State Fair is based on the Iowa State Fair – where I’m from (I haven’t seen the movie, but that’s what I heard). It’s a huge deal here. The hotels around Des Moines are all booked up well in advance. It seems the Texas State Fair would have a little different spin, which would be a lot of fun. I just know Texas from movies (shamed) and they are not good ones lol. Good to see there are such an entertainment & attractions. I felt like I’m reading a fairytale, very well written. What a cool festival. My country India has a century old tradition of making films and I wonder why we are not planning anything like this? You don’t have to be embarrassed about admitting your fondness for those films. The 55 foot tall statue, I am sure is a head turner! Looks like a place you can enjoy with family and friends.